Folk singers color the Loboc River Cruise – one of the premier attractions of earthquake-hit Bohol. A deadly 7.2 magnitude earthquake, followed by a 20-day power blackout caused by Super Typhoon Haiyan (Yolanda) only three weeks after, drastically affected the tourism industry of Bohol, one of the premier tourist destinations in the Philippines. The island province is best known for the Chocolate Hills, white sand beaches of Panglao Island, and endemic Philippine tarsier (Tarsius syrichta). However, despite the recent “double whammy” of natural disasters, Bohol remains bullish with its plans to get the island province back up running in no time. “We are very optimistic because tourism is a very resilient industry. It rebounds very quickly,” says Gov. Edgar Chatto, citing Bali after the terrorist bombings and Phuket after the 2006 Asian Tsunami. To help rehabilitate and rebuild, the provincial government of Bohol is encouraging domestic and foreign tourists alike to visit the island paradise. “Bohol is intact and resilient, and we are doing our best to service our guests,” he adds. To assess the main attractions of the province, our team embarked on the classic full-day tour of Bohol’s top tourist attractions from Tagbilaran to Carmen. Fortunately, most tourist spots were largely untouched by the earthquake. The Blood Compact Monument in Tagbiliran and Philippine Tarsier Sanctuary in Corella were structurally unaffected by the earthquake. While the Loboc River Cruise, which sustained some damaged to its pier and experienced a 75% drop in tourist visits since the earthquake hit, was slowly picking up. “Overall, there has been a 50% drop in arrivals in November, but starting to pick up in December,” reports Atty. Lucas Nunag, President of the Provincial Tourism Council. Only a few of the Chocolate Hills were damaged, and these were far away from the popular viewing areas in Carmen. While the Chocolate Hills view deck was destroyed by the earthquake, alternative vantage points like the newly-opened Chocolate Hills Adventure Park (CHAP) offer tourists an alternative vantage point to admire the endless panorama of verdant hills. As for the church sites, alternative churches along the Tagbiliran-Carmen tourism such as the St. Monica Church in Albuquerque can be visited by tourists in lieu of the damaged churches of Baclayon and Loboc while these are being restored. The late 19th century Spanish colonial church, photographed below, impresses visitors with its grand Romanesque architecture, imposing central belfry (akin to a lighthouse), and stone bridge linking the church to the convent. Inside, the well-decorated ceiling is bolstered by massive pillars made of solid hardwood – a rarity among Philippine churches. The St. Monica Church in Alburquerque is an alternative heritage site to Baclayon and Loboc. As widely reported in social media and the news, the Bohol Earthquake sadly destroyed some of the provinces renowned colonial churches. Among the 47 Spanish colonial churches in Bohol, four were badly damaged and two were totaled by the tremor and its aftershocks, namely, the churches of Maribojoc and Loon, which according to experts will be too costly to rebuild. The famous churches of Baclayon and Loboc were among those that were severely damaged with their belfries and facades partially reduced to rubble. While the Loboc Church with its collapsed middle section cannot be entered at all, the Church of the Immaculate Conception in Baclayon and its adjacent museum can still be visited by tourists. The nave of Baclayon remains largely intact, with its centuries-old ceiling paintings and ornate retablo (altar) spared from destruction. An international team of heritage restoration experts have assessed the church damages, and will take around two to three years for the damaged churches to be restored. The Bohol Earthquake has resulted in the significant alternation of the landscape, especially in the northwest towns near the newly discovered North Bohol Fault. PHIVOLCS has even reported that parts of Bohol, including Tagbilaran City, has shifted westward closer to Cebu by 55 centimeters. The town of Maribojoc has experienced a change in the coastline, with the shoreline moving farther away, while parts of Tubigon town have subsided after the tremor. 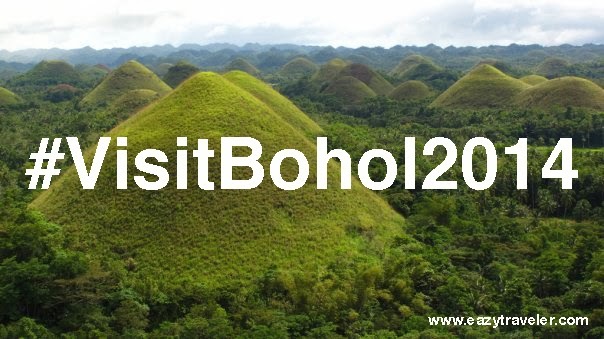 In addition, the few of the Chocolate Hills damaged by the earthquake now offers invaluable insight to both tourists and scientists on their formation and composition, yielding fossils of marine life which affirm that the entire island of Bohol was submerged under the ocean millions of years ago. The most remarkable post-earthquake land feature however is the emergence of a rocky wall that rises up to 10 feet high at some portions and runs for more than five kilometers in Inabanga town. Dubbed the “Great Wall of Bohol”, the provincial government plans to preserve this land feature, and, together with the other new geological formations, offer them as tourist attractions in “geoscience tours”. Atty. Nunag also shared the government’s plan to build a North Bohol Fault museum that will memorialize the October 15 earthquake, exhibit the rehabilitation of the island, and showcase geological wonders of the Bohol. Interesting images my friend! Your blog is full of information. It is very helpful for all travelers. I’m tourist and like to visit in different countries and meet different people all over the world. Your blog is very useful for me. I am also search the best city for visiting on my next tour. I’m going to new york to orlando bus tour with my wife to enjoy the holidays. After complete this tour I must visit in this city and see these attractions that you mention in this blog. Thanks for this great sharing.